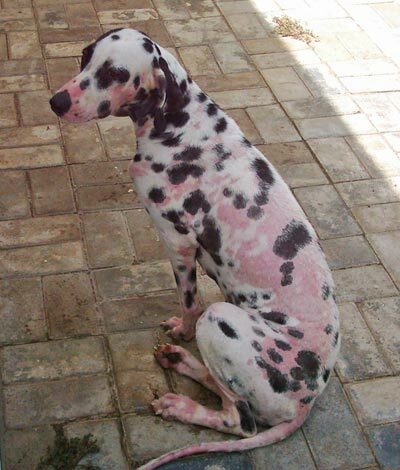 Dog mange is not just a problem of skin or fur. Demodectic mange can only develop if your dogs immune system decreases. This usually happens because wrong or unbalanced nutrition. 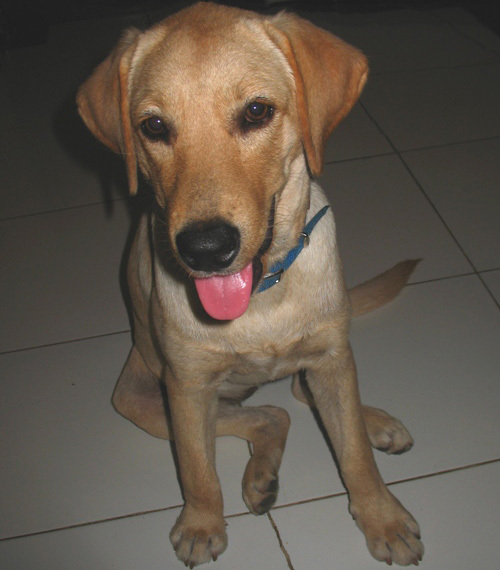 But also stress (moving to another location, loss of owner, harsh disciplining..) can cause dog mange. 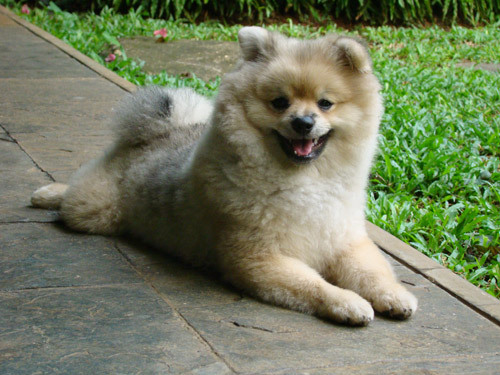 Each dog has demodectic mites under his skin, they are normal inhabitants of dog skin. But only if the immune system drops, those mites can spread uncontrolled. 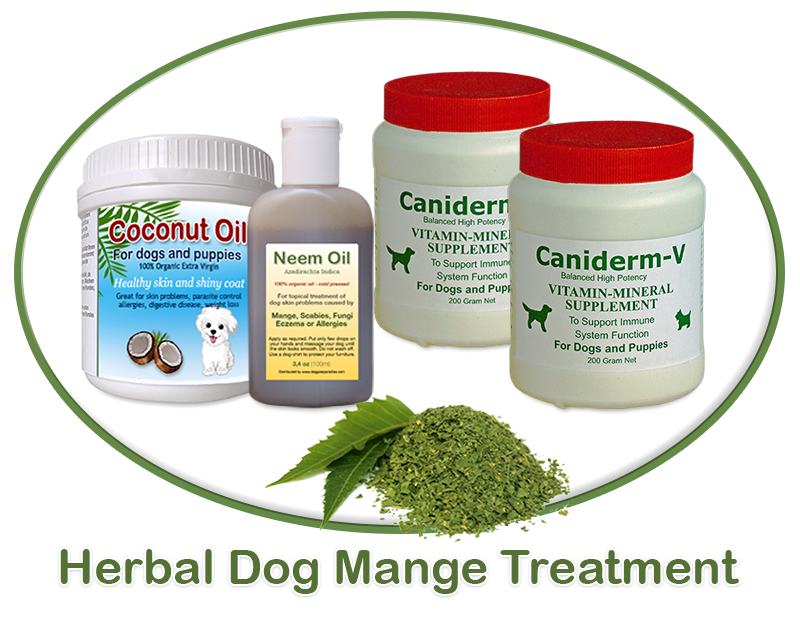 Because dog mange is a matter of a decreased immune system, it is really easy to treat. Same as a flu in humans. 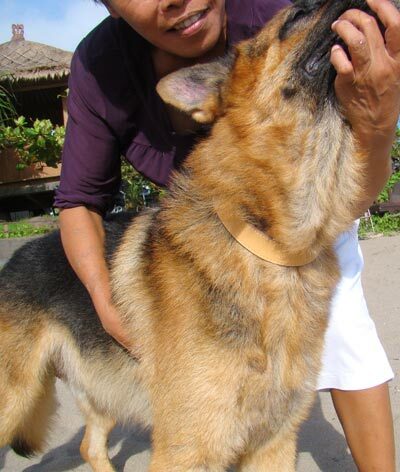 Boost your dogs immune system, and the demodectic mange will disappear. 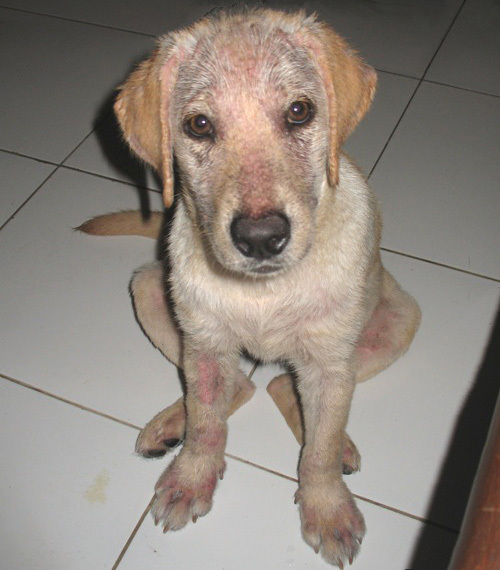 Strong drugs or harsh shampoos are not necessary for mange treatment. Sounds too easy for you? Take a look at our success page. We already treated thousands of dogs with this natural methode. Once the dog mange was treated it never recured. 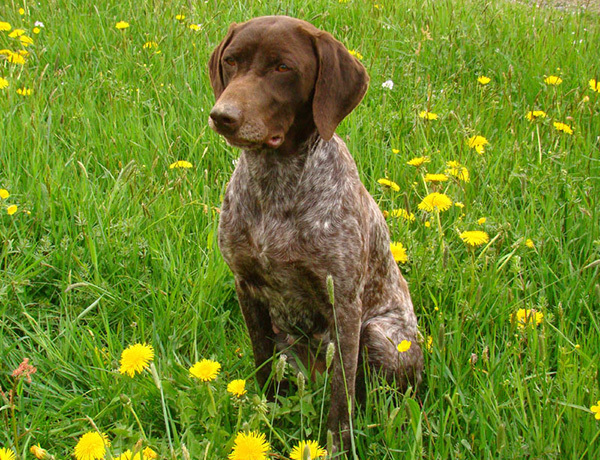 If you follow some simple rules, also your dog will be healthy and look beautiful very soon! Because orthodox vets only treat symptoms. This may help for the beginning to kill bacteria or skin infections. But antibiotica, drugs or steroids are not helpful for a long term treatment, because the symptoms reoccur if you stop them. The only way to help your dog is to boost his immune system by keeping his body free from any chemicals, preservatives, additives and other artificial stuff. 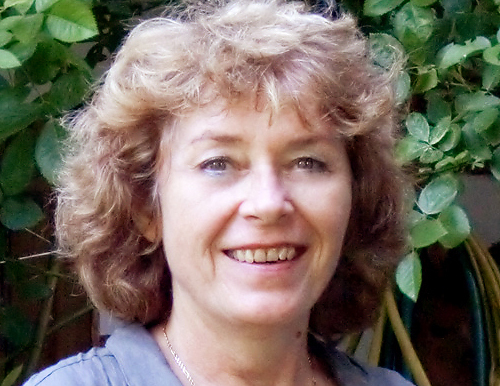 Take a look at our skin treatment success stories. 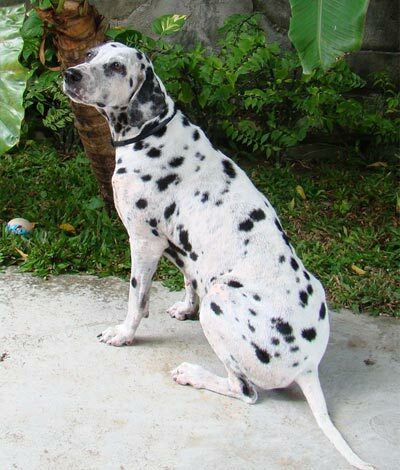 Those dogs are the proof that natural treatment of dog skin problems is possible! Caniderm-V is a herbal supplement for dog medication with all the necessary vitamins and minerals essential to boost cellular energy and immune system function. It is formulated for dogs with serious skin problems, as demodectic mange, allergies, eczema, or yeast infections. 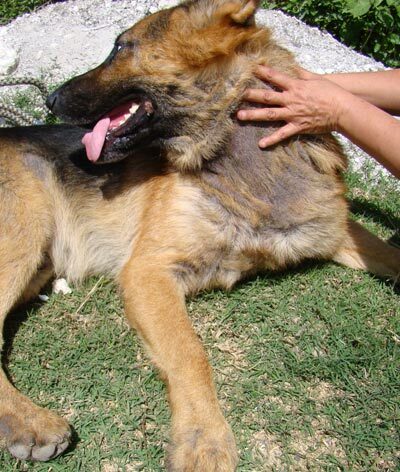 A mineral supplement to help dogs to recover from skin problems. The powder is easily mixed with the dog food. Very tasty, even spoiled dogs love it. Contains more than 20 herbs, echinacea, biotin, potassium, kelp, spirulina, diatomaceous earth, silicic acid, and trace elements. Caniderm-V is made of human-grade natural ingredients. No fillers, preservatives, colors, or binders are used. Neem oil for topical treatment will soothen rashes, wounds or other skin irritations. You can directly apply it to the dogs skin, it is none toxic. Coconut oil will support your dogs digestion and help to clean the body from inside. Do you have particular questions? 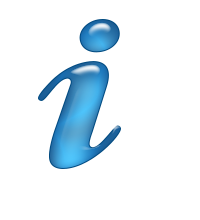 Call us: +49-375-36084646, or provide your skype-ID by using the contact form.